Are you searching for affordable car finance in Bridgend? Ron Skinner and Sons are here to help. 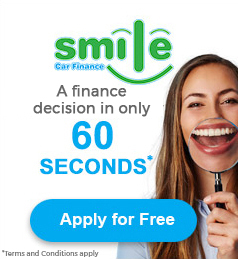 We have years of experience in helping car buyers secure a finance deal which suits their needs and budget, so that they can drive away happy! Car finance is becoming an increasingly popular method of paying for a vehicle. It enables you to afford a motor that you may not have been able to otherwise, without having to spend years saving up. At Ron Skinner and Sons, we have a variety of options to ensure that the car of your dreams is within your reach! Our closest branch to Bridgend is located in Cardiff, approximately half an hour away. Come and visit our team of dedicated car finance experts, who will help you identify the right agreement based on your circumstances. With a number of leading finance partners, we are confident that we can offer a deal that you’ll be happy with. If you are interested in applying for car finance with Ron Skinner and Sons, fill in our online form now. You can expect a response in around 60 seconds! Once you have been approved, make your way to our showroom to start your search for the perfect car. We have helped hundreds of customers in Bridgend to secure car finance, whatever their credit score. Get in touch and let us do the same for you!